My Camera is arriving next week and I'm very excited. The biggest question I have for providing this service is how do you all price? I've seen a variety from $250 for 2000 sqft to we-get-around at $0.50 USD per sqft. Another I saw is $300 for 1500 sqft. It seems like there is not real pricing strategy here. I would love to hear your pricing plans to at least get an average to determine what people (specially top producing real estate agents) are willing and what's fair to pay.Thanks in advance. @CarlosFHdz a related article about pricing. @CarlosFHdz It totally depends on the market that you're in. Here in Portland, Oregon we're seeing one of the strongest sellers markets in years so Realtors are having to spend less on marketing. Inventory is at a 15 year low so homes are just flying off the shelves! That makes it a little harder to convince Realtors to spend money on high-end virtual tours. Let's be honest, this technology is amazing but it's not worth $.50 per sq ft. Who would be stupid enough to shell out $2500 for a 5,000 sq ft home? I would MUCH rather charge less and build a sizable client base while letting my work be seen by as many people as possible. Hoping that Realtor Ralph drops a couple grand on a Matterport Showcase might be a good strategy if you only want to do a few. I think you want to price it so brokers know it's a premium service but not so high that you're driving away many potential clients and offices. Hi guys, How much to charge for a boat virtual tour? I think that it, in part, it depends upon your market. Not only the market conditions as RenderingSpace pointed out but also the average price range. An agent that is selling an average price of $200,000 has a lower marketing budget than an agent that is selling an average price of $500,000. It is also important to consider how you can support the businesses of the agents that support your business. I believe that the service provider that is getting $.50 per sf works a luxury market and promotes his agents on his website. If his agents get more luxury listings because of his scans and his support of their businesses than it may be well worth the expense. He may also include other services in that fee. My husband is marketing the scans to other agents and the menu of services is something that we're working on, for instance, are you providing the still pictures also? a video? how are you handling the hosting? Has anyone considered charging a percentage based on the price of a property? For example, .1 -.5 percent. So, a $500k home would range from $500 to $2,500. Thinking further, if it's one level and vacant then maybe it's closer to the .1% range. If it's multiple levels and completely furnished there is more time and scans. This would be towards the higher end of the price spectrum. Distance could also be a factor and included in that range. Is anyone doing this? If so, what are you doing? I'm a real estate agent and the owner of a Matterport 3D camera servicing Hilton Head Island and Bluffton, SC home sellers. My husband does my scans and he is going to offer scans to other agents in my market. I have to say that I am not a fan of charging as a % of sales price, for one, I think that you would have to do that as a payment at settlement (how else do you know the sales price) which means that you are dependant upon the skills of the listing agent. I may be able to tell my husband if I think that the listing is salable or not but you probably do not have the expertise to do that. In addition, you are offering a service that is not affected by the sales price, ie it costs you no more to scan a house of 2000 sq ft that is priced at $200,000 than at $300,000 so how do you justify the difference in cost? I think that the fee should be related to the services rendered and the value that you can bring to the agent. While the scan is the scan there are other things that you can do to bring value to the agent. Providing the still images is one, linking your website to their website to increase their SEO is another, sharing the scans on your social media sites may be another. 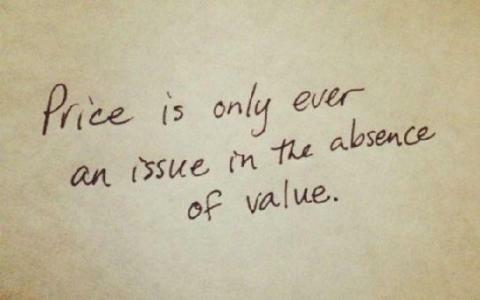 Let's have some discussions about how we can bring more value. My husband and I have had a number of discussions about this. I have analyzed the per square foot rate and I have some questions. At whatever rate you are considering, how long will it take to pay for your camera plus ipad plus marketing expenses and begin to make a profit? Don't forget to include your time to the job and back, gas and other business expenses. I occasionally see people selling their cameras on this site and I think that it is because they did not factor in the value of their time and expenses when they calculated their fee. They went after the business trying to drive volume (number of scans) rather than setting a rate that was reasonable for the real estate agents that are most likely to be attracted to the product and make them (the service provider) a reasonable living. If you do not calculate a rate that makes sense, bring value to the real estate agent and include your other expenses than you may well be one of the service providers that is selling your camera. I'm not sure how I would justify the cost either. I can't even do it when a client asks me that about commissions regarding a $500k home vs a $900k home. Its too often that more or less young guys start offering these kind of services, either drone or anything that has to do with electronics and basically ruin the market with a pricing that is completely out of the range. As Cathie said, they simply dont understand business cost and earning structure good enough in order to justify proper pricing. When this happens, its too late as the client for sure will only remember the lowest price someone had offered the service for, although average price would be totally something else. Im not talking particularly about MP but more or less drone business what Ive been working with for years. And when the Phantom finally chashes and they have to buy another one to replace it, the reality strikes and this "hobbybusiness" ends - just waiting to someone else do the same mistake with pricing. This will happen with every single business sector including MP type solutions if the level of getting onboard is too low and as the smartphone 3D systems are coming - I truly believe that it will be even harder to get decent money out from this business in the close future.